The book doves into the story of Gilmore girls the show. The first chapter talks about the writing of the show, it quotes lines from the show. 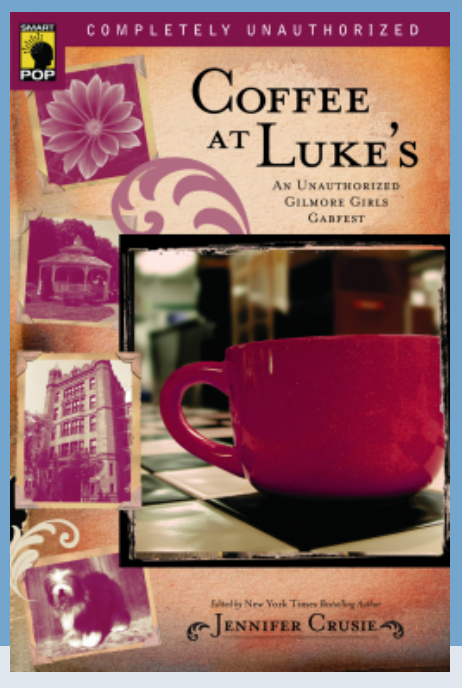 This chapter takes you back to the love of Stars hollow and how loving yet complex these Characters are. It refers to the show writing as not being written in dumb down way, but instead in a very smart fashion that everyone could enjoy and feel intelligent. It really shows the meaning behind the show Gilmore Girls and why it was so important in the lives of so many people. In the book, different authors share their own stories about the characters in stars hallow and how they relate to our own lives. It uses, what I would refer to as stars hallow language or Gilmore Girl-ism, which is the fast pace talking or moving life that comes alive on the show. While using each certain characters, such as Lorelei or Kirk to explore the characters quirks, in order to relate to real life and our own human stories.These stories are about everyday normal things such as family, friendships, feminism, which are just a few examples. I have to say I feel like this book does focus on feminism in such a positive light, which made me love it that much more because Gilmore Girls was about strong females. The book really makes you feel like your in stars hallow, with the quotes from the characters. It focus on the unique-ness that only Stars Hallow people could have , that small town, George Bailey life while dealing with modern day issues. For example, Lorelai always seem to be the runaway bride or that Kirk had 15,000 different jobs. I mean who could not related to that. who hasn’t work different jobs or who hasn’t thought that maybe marriage isn’t for them. I know I personally feel like marriage is not for me. This book really caught my attention by using the different references to real life situations like the show would have. As you continue to read the book you notice more of how the characters thoughts, actions or ideas can really relate to your own life but in a funny way. This book really took the time to make you look at life through the eyes of the Stars Hallow town's people. It shows you that if you just look around at your own life, you are very much one of these characters. I really throughly enjoy this book. I honestly couldn't put it down and it made me go back to the town that was Stars Hallow and the enjoyment of such wonderfully written characters. It truly is a must have for Gilmore Girl Fans everywhere. I honestly would go buy it right now, so you can enjoy it before the Netflix premiere of Gilmore Girls.